Looking for a way to add some excitement to your week nights? Bet we can help. Trot off to the horse races and get in on the action. Win, place or show – there’s no better place to go than Elora’s Grand River Raceway on a summer night. Think gaming, entertainment and live horse racing! It’s all here in one spot, with ample free parking and free admission. You can’t beat those odds, but you can celebrate a special occasion, date night, or a night out with friends. Make the Summer of 2018 one to remember. Catch all the action of live harness horse racing this summer on Monday, Wednesday and Friday evenings starting June 1 to September 26, 2018. Races begin at 6:30 pm and the fun goes on until around 10pm. It’s just late enough to make you feel like you stayed out past bedtime without actually having to stay out past bedtime. And it’s so much more fun than watching television. If you’re heading our way for the weekend, be sure to take part in the Fun & Frivolity Friday Nights and include The Neighbourhood for kids, (games, activities and more) and a live broadcast from 7-10pm with local rock radio station 107.5 DAVE ROCKS. Every race night features the Tarmac Show, a live broadcast from the front of the track where host Kelly Spencer stirs up some fun with prizes, giveaways and some ridiculously entertaining events, such as the Bouncy Horse Races (which, speaking from experience, is not NEARLY as easy as it looks). Cheerleading is also encouraged. It’s a blast! 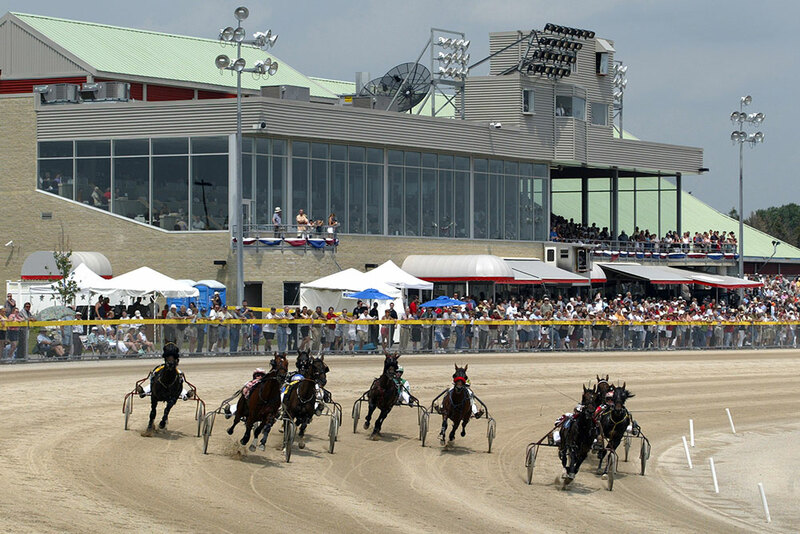 Grand River Raceway is celebrating 15 years this year, so we’re confident that this summer will be one to remember and we’re sure you will think so too. 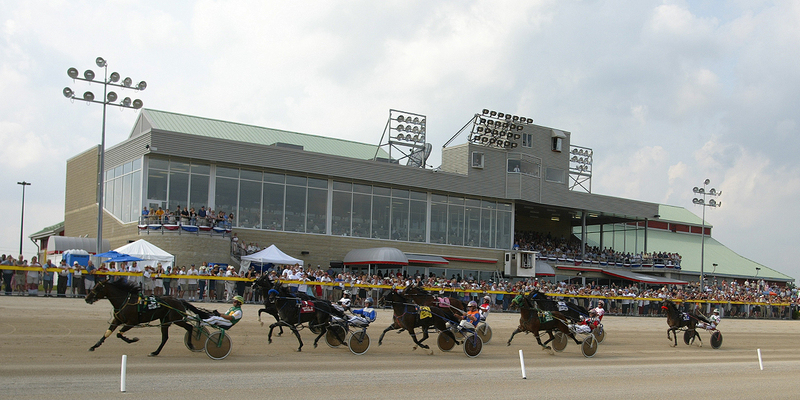 If you’ve never experienced the adrenaline of a live harness horse race, we bet you’ll love it here. Gather up your friends and get down to the finish line, because it’s about to get real, fast. Be at the rail as these majestic Standardbred horses round the turn from the backstretch to the homestretch at incredible speed, their hooves sounding like thunder rolling in, merging into position so fast you can’t take your eyes away, masterly driven by fearless drivers in two-wheeled carts all bent on crossing that finish line first. In a spectacle that is nothing short of heart-pounding, foot-stopping, unabashedly embarrassing cheering and more than a few high-spirited whoops for joy, the excitement builds until that first horse gets over the line, and then, you can’t wait for the next race to do it all over again. All bets are on that you’ll have fun. Speaking of betting, don’t worry if you’re not sure how to do it. No experience necessary. 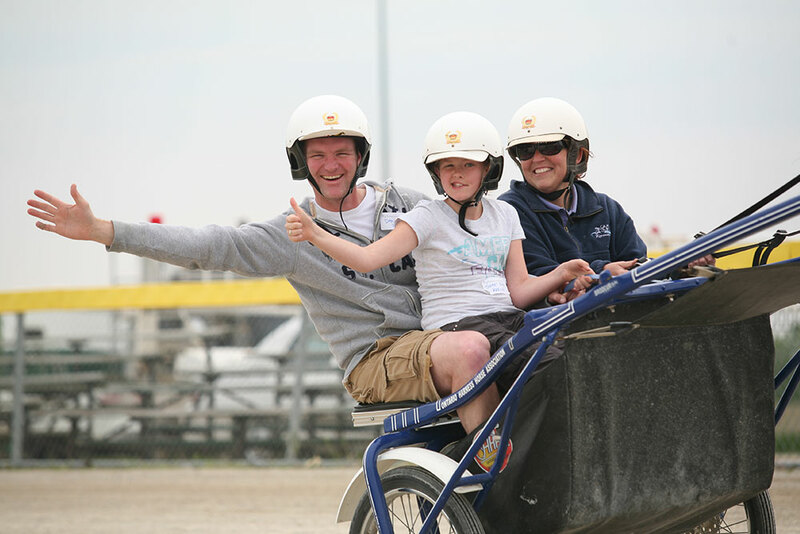 The fine folks at Grand River Raceway want you to enjoy the experience as much as they do. There are people here who will guide you through the process so you’ll fit right in. Everybody fits in here. Or you can do what we do! What’s in a name? A winner! Seriously. Sometimes it’s all about going with your gut and picking the horse with a name you’ll remember. Tell me you wouldn’t put your money on a horse that goes by WiggleItJiggleIt? You absolutely would! We absolutely did. It paid off, big time. Also, we like our odds with numbers. How can the 7 horse ever be wrong? (We’re wrong a lot, but hey, it’s still fun). Fun fact: The horses are named by their breeders or owners and their proposed names must pass several criteria set out by the national breed registry. Their unique names are often a combination of the names of the horse’s dam (mother) and sire (father), and the name of the breeding farm. So WiggleItJiggleIt has an even better back story now, right? There is no racetrack with the atmosphere of Grand River Raceway. It’s truly a community place where friends get together for a fun night out, where families bring their kids to enjoy a few races before bedtime, and where those who just enjoy the majesty of watching the beautiful horses run under the bright lights in the warmth of the summer night air can sit back and take it all in. It’s a totally customizable experience – we bet you’ll love it. Try your luck out at Elements Casino Grand River, with all the lights and sounds of the slots and the opportunity to win the big jackpot, or to just sit back and watch the game with friends. 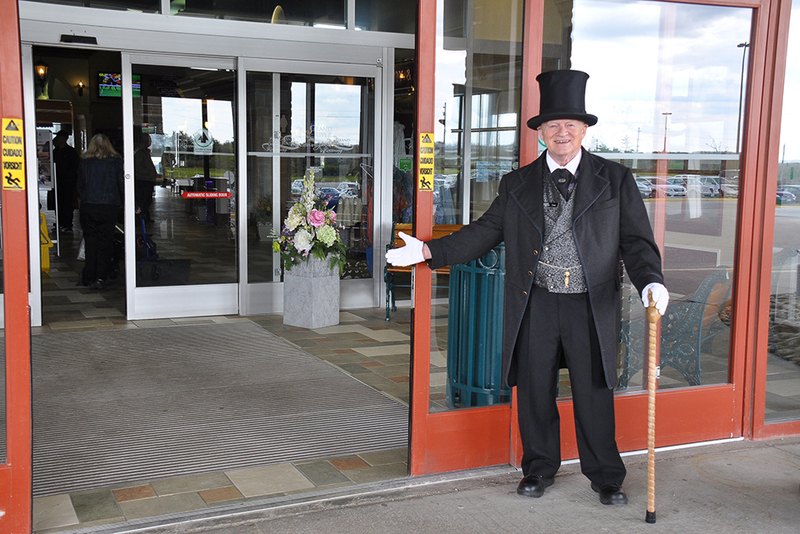 Open 24/7, Elements Casino Grand River, (operated by the Great Canadian Gaming Corporation), offers a great atmosphere that’s ready when you are. Make a night of it! 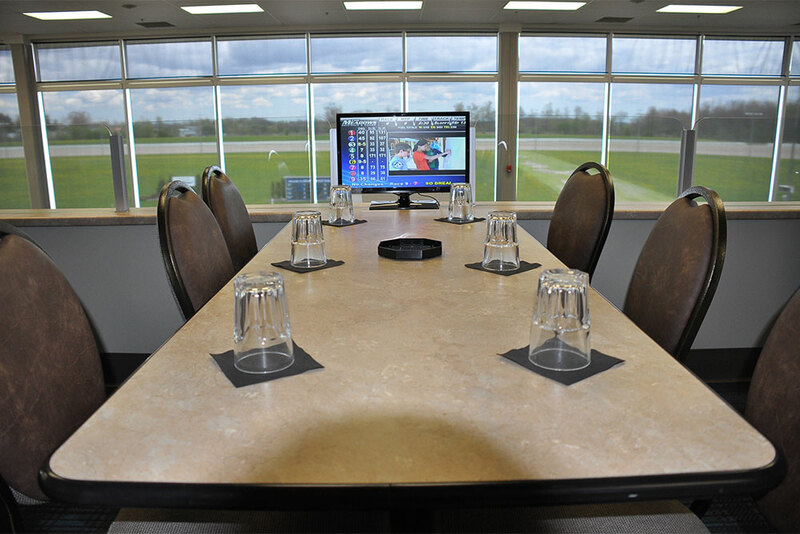 Grand River Raceway offers three different race night dining options, plus a BBQ on the Tarmac. Don’t worry, wherever you dine here, live television broadcasts will ensure you won’t miss a minute of the action. Satisfy everyone in your party with this all-you-can-eat buffet for $19.99 per person, with table service and television screens on every table, but with the best view of the track outside the giant windows. Word to the wise: Make a reservation here. This dining room is a popular spot that seats 200. It sells out often. So, book your spot. Great food, live action and a stellar view. More please! Casual dining and a relaxed atmosphere on the lower level of the Grand River Raceway, The Getaway Restaurant is a popular spot too, with a menu that is sure to please all and friendly table service too. It’s located just steps from the track and not too far from the action. The Lighthouse Restaurant is in the Grand River Raceway paddock building and features a casual self-serve menu. There are plenty of big screen TVs to enjoy the races and if you spend enough time here, you’ll meet many of the people who work with the horses. If you’re looking for some of your favourite barbecue foods served up fresh and hot, the Tarmac features a BBQ that will satisfy your appetite and encourage you to get mustard on your shirt. Don’t worry. It comes out. Eventually. Bet you’re impressed. You will be. 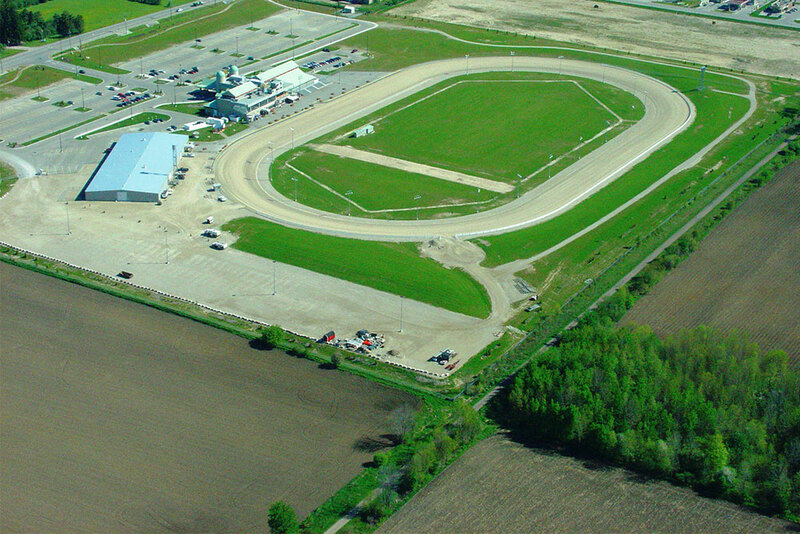 In fact, we’ll put our money on it that even if you’ve been to a racetrack before, you’ve never experienced anything like the fun and excitement of Grand River Raceway, in Elora.